For anyone hailing from elsewhere, the concept behind this coming Saturday night may seem a little odd. 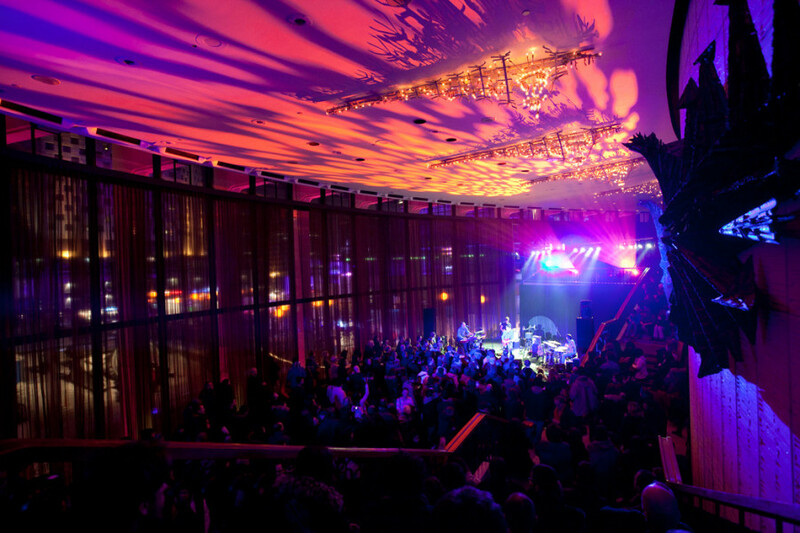 On March 2, for one night only, Montreal will be the venue for a whole slew of events, from performance art to free waffles; in every borough, something to do is only a metro ride away. Oh, and transit is open all night, so no one has to hail a cab to get from one side of the island to the other. Original? Sure. Fun? Most definitely. A little overwhelming to plan? Without a doubt. When there are so many things going on for only one night, it gets a little difficult to organize your plan of attack—fortunately, we’re here to offer a couple of suggestions. Just remember, thanks to the grand tradition of cosmic unfairness when it comes to schedules, your two top choices will be at the same time—with one being in Notre-Dame-de-Grâce and the other in the Mile End. Yep, it’s tragic, but it will also force you to maybe discover something new! Not into the idea of planning your whole evening with events back-to-back? Walk around the giant outdoor site that’s going to be open all week, so if a giant slide, a ferris wheel or a 360-degree movie theatre is up your alley, stay downtown and check out what the outdoors has to offer. – BYO booze. Most places won’t be searching you, plus putting a flask in your belt is ne­­ver a bad idea. Seriously. - Pre-plan! 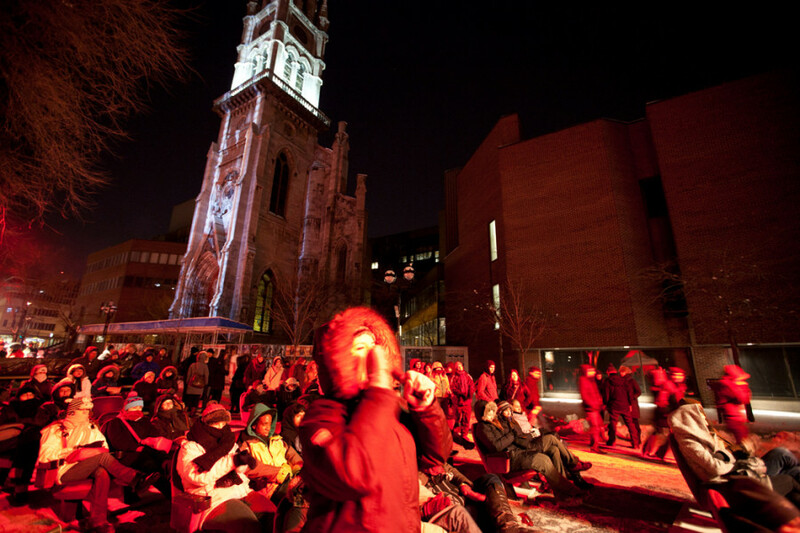 There’s a convenient smartphone app—search “Nuit blanche à Montréal”—to help you plan out your travels, because with every stop and every beer, I guarantee it will be harder to remember the address of where you’re headed next. - Stick it out. Or don’t. If you get somewhere with a particularly long line, it’s time to decide quickly if that free waffle is really worth it. - Avoid pesky ATM charges and take out cash before you head out, as most places won’t take plastic. - Pack an extra pair of socks. There’s literally nothing that you could regret about that decision. The website promises that “a group of penguins will emerge from the Biodome to spend the evening outdoors with you,” which sounds like one of the cutest things slated for this Nuit Blanche. So, if you find yourself spending too many Fridays in the front row of rock shows getting sweat on by an unwashed bassist, treat yourself to hanging out with a penguin for a night. However, it will be cancelled if the weather isn’t suitable for the little Antarctic darlings to come outside. Although owls sometimes have a menacing side (see Twin Peaks, Macbeth), in real life, they’re downright adorable, so the show is bound to be a hoot. And you will be introduced to a great horned owl, the largest of its kind in Quebec! Yay, giant birds! 7:00 p.m. to 5:00 a.m. There is not much description of this event, other than a promise to “meet at the crossroads of the four elements,” which sounds like either something involving copious drug use, or ladies in faerie dresses. Either would be a-okay with us. No word on who will be doing the body painting and whether the chocolate that’s being tasted is only the stuff being painted with, but this sounds intriguing nonetheless. 9:00 p.m. to 3:00 a.m.
Armed with a 10-foot cake and a ton of decorating candy, Carré Confiseries is giving attendees the chance to “paint” the massive cake using candy as their paintbrush. At 2:00 a.m., they will be cutting the cake—so be sure to arrive around that time if you want a slice of dessert that has been most likely been man-handled by half the city. Yum. Rock Avenue is hosting free dance classes every hour, as well as hairstylists, photographers and DJs to help set the 1956 mood just right. So for the night, forget about the racism, sexism and generally terrible attitudes that dominated the ’50s and focus on what’s important—poodle skirts and Chuck Berry. 7:00 p.m. to 3:00 a.m.
We all know that vinyl has made a comeback—but rarely does it make its way to the dance floor. However, for “24 hours” of DJing at Le Bleury it will be a vinyl-only affair. Also, it’s now in its seventh edition, so they’re bound to know what they’re doing. 5;30 p.m. to 3:00 a.m. Restaurant, bar service and DJ to get you moving between films—what could be better? So far, no word on what movies will be shown, though, so have a back-up plan in case it turns out to be something you’d rather not spend your precious Nuit Blanche seeing and head elsewhere.